This is one of my favorite non-fiction books I have listened to. The structure is clear and easy to follow. The author's voice is consistent and engaging. And beyond all the content is well chosen and conveyed in a compelling manner which humanizes these sometimes seemingly mystical beings that are professional footballers. The author clearly lays out what actually happens during different phases of both a player's life, and landmark changes at football clubs. 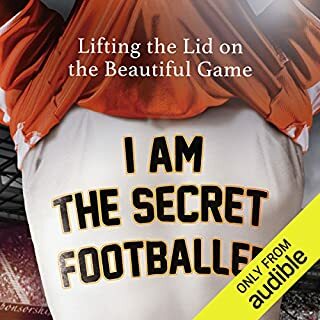 I highly recommend this book to anyone who has any interest in football, but also to anyone who simply enjoys honest reflection on a life few people will ever live.